Islamic State (IS) declared its re-establishment of the caliphate on June 29, 2014, almost exactly 100 years after the heir to the Austro-Hungarian Empire, Archduke Franz Ferdinand, was assassinated. Ferdinand’s death set off a series of events that would lead to the first world war and the fall of three great multinational world empires: Austro-Hungary (1867-1918), Russian (1721-1917) and the Ottoman Sultanate (1299-1922). Ferdinand’s assassination and the events that it brought about (culminating in the 1919 Treaty of Versailles) symbolised the final triumph of a new idea of sovereignty. This modern conception was based on the popular will of a nation, rather than on noble lineage. 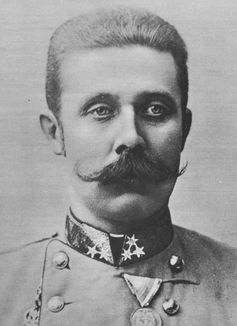 The heir to the Austro-Hungarian Empire, Archduke Franz Ferdinand, was assassinated on June 28, 1914. Other than the Ottoman dynasty’s very late and disputed claim to the title, no attempt has been made to re-establish a caliphate since the fall of the Abbasid dynasty at the hands of the Mongols in 1258. In other words, Sunni Islam has carried on for hundreds of years since the 13th century without the need for a central political figurehead. As in the case of the Shi’i Buyid dynasty (934-1048), these rulers didn’t even have to be Sunni. And they were often expected to provide legislation based on practical and functional, rather than religious, considerations. It was the 19th-century Muslim revivalist and anti-colonial movement known as Pan-Islamism that was responsible for reviving the Ottoman claim to the caliphate. And the idea was revived again briefly in early 20th-century British India as the anti-colonial Khilafat movement. 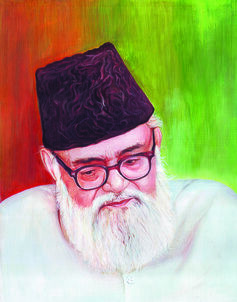 Thinkers such as Abul Ala Mawdudi tried to place a revived caliphate within some type of democratic framework. 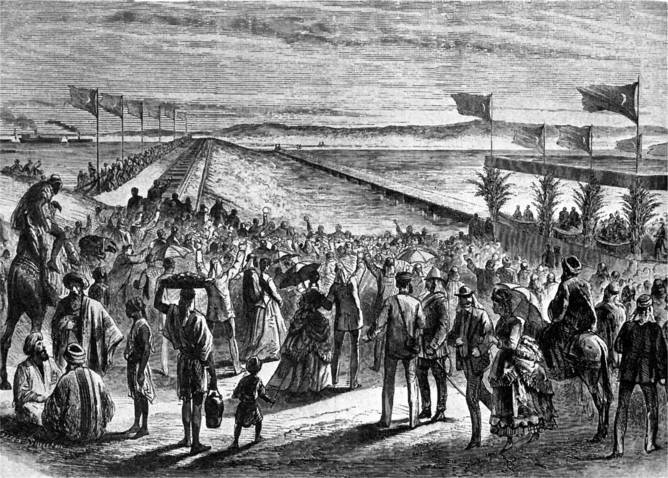 Inauguration of the Suez Canal at Port Said, Egypt, in 1869. Egyptian president Anwar Sadat’s peace treaty with Israel was widely seen as an act of betrayal. If IS’s leadership is really an alliance between ex-Ba’athist generals and an offshoot of al-Qaeda, as has often been depicted, then we don’t have to go far beyond the events of this war to explain how the group formed. But the rise of Islamic State and its declaration of the caliphate can also be read as part of a wider story that has unfolded since the formation of modern nation states in the Muslim world. 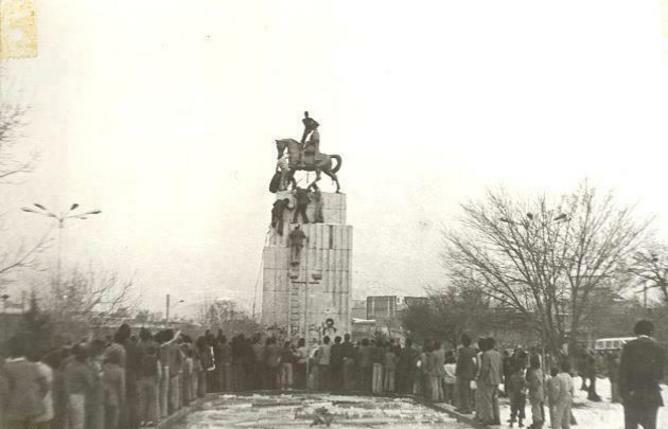 People of Arak toppled the Shah’s statue in Bāgh Mwlli (central square of Arak) during 1979 revolution. An extreme high point of frustration was reached in the events of the so-called Arab Spring. The wave of popular demonstrations against the autocratic regimes of the Arab world were seen as the first winds of change that would bring about democracy to the region. But, with the possible exception of Tunisia, all of these countries underwent either destabilisation (Libya, Syria), the return of military rule (Egypt) or the further clamping down on civil rights (Saudi Arabia, Bahrain and other Gulf monarchies). 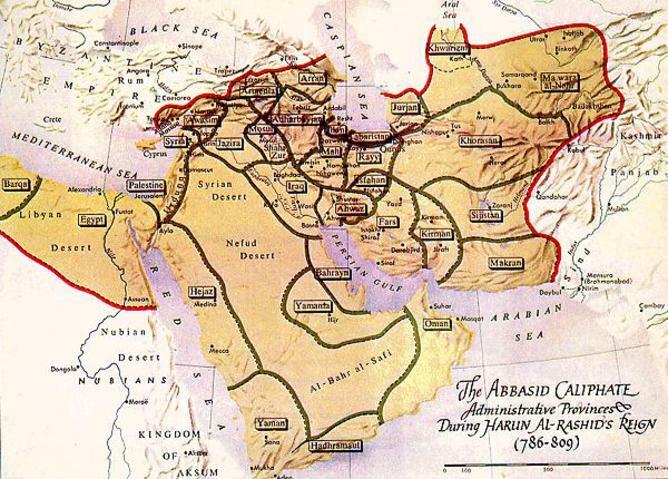 This is the eighth article in our series on the historical roots of Islamic State. Look out for the final article tomorrow and read the rest of the series, if you haven’t already.